B2 On Our Way To? A-Side is probably Blancmange's greatest hit in an extended and powerful version (9:35 min). But let's have a look on the b-side: "On Our Way To?" 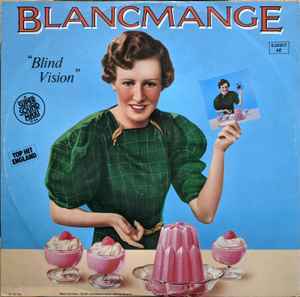 to "Blancmange" might be compared to what "Frequency 7" is to "Visage" - an early instrumental techno-pop classic. In all that italo-electro-synth-80s retro-hype surprisingly this track seems to be overlooked by now. Maybe some re-edit would do it... Highly recommended as you'll find this release quite cheap on nearly every flea-market.